Astrology is a wise art and can answer a lot of questions. Yet it also makes a lot of sense when we receive letters and messages asking us which Zodiac Sign’s prediction to read if you are born on the edge – on the cusp. If you are born on 21st of December are you Sagittarius or are you Capricorn? You feel both energies in you, yet you can’t shake the feeling that you don’t belong in either one of them. Cusps are extremely sensitive days as energy shifts into something else. This “in – between” thing is where witches believe that magic is most powerful. These days transcend in both signs reaching for this infinite power that empowers all signs. 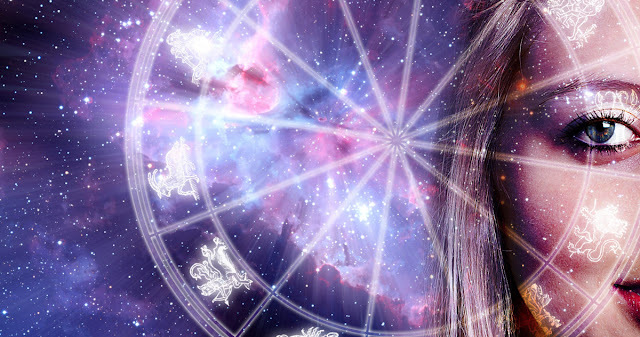 If you are born on Cusp, then your energy is a mix, a blend of both Zodiac Signs. Therefore, when you read about your magical gifts, always read both signs. A spark is seen from the dark primordial Waters of Pisces – which symbolize our infinite magical powers and intuition. This is the spark of Creation, the spark of Aries. Spring is here and the Vernal Equinox signifies a time of change. This is the Cusp of the prophets. Whether they realize it or not, whatever lies in their head can be materialized. Hence this is the cusp of the Prophets. Not only because their intuition is strong and they can see the future, but also because they can make their dreams – or dreams of others come true as long as they don’t lose hope. The Energy of fire blends with the magic of the earth and the results are like a majestic volcano. The ones who are born in these days love to be in charge and control everything but mostly their lives. They cannot even think of having some part of their lives under no surveillance. They are extremely stubborn but also bold and brave. Their heart is their compass and they can make great leaders once they start listening to others too. Taurus is one of the most rational signs and if this energy is combined with the bright Gemini the results are amazing. The earthy filter of Taurus receives an energy boost of Gemini and their intellectual ability along with their mnemonic capacity is outstanding. These guys are so bright that they need coming to ground them every once in a while. Remember, Taurus energy is still present. They make great scientists but their need to listen to their hearts too. If you are born during these days, Remember! you are born during the Summer Solstice! The powers of the Solstice is so great that can transcend the energy of the cusp even further. This is the day the Sun is the absolute kind and the knowledge of Gemini blends into the primordial Waters of illumination, the Waters of Cancer. Mercury meets the Moon and the results are remarkable. Truly gifted people who love arts and can use their power to make themselves famous in many ways as long as they try to ground themselves every once in a while… or more often! What happens when the emotional tides of Cancer meet the bright sun of Leo? Magic! The ones who are born under this influence have a unique ability to charm and enchant whatever and whoever they lay their eyes on – just like the Mermen and Mermaids who above all are enchanting yet extremely sensitive. Unfortunately, this ability is usually blocked in early childhood when they discover the power of their magic. Trying to prevent themselves from making mistakes they self-bind their powers. Now you know though. Unlock the door you hide your magic and shine brightly. The brightest energy and the inspiration of the Sun in Leo meet the extreme capabilities of Virgo. These are the days when the inventors are born. We are not talking solely about science but ANY kind of idea that could change the way we live. Love Empowers them. Their employers are also a bit jealous because they always come up with solutions. They also make great leaders because they have common sense. The only thing they have to be careful not to be so judgemental of others and themselves. What do they say when two energies of perfectionism meet? Elves are made. These magical, intelligent and beautiful creatures symbolize this cusp. This is no ordinary cusp, as now is the time of Autumnal Equinox, the absolute balance. In this day, Magic and Beauty prevail. People who are born under this influence are perfectionists and love to spoil themselves – and the ones they love – in peace and beauty. As long as these people find their emotional balance, they can attract anything they desire. When the natural curiosity of Libra meets the passion for the truth of Scorpio, a Seeker is born. These guys have a passion for truth. They can work very hard in order to find out what they are looking for. And almost always, they do find a way to reach their goals – or how they love to say – their truth. Their potential is great as long as don’t become narrow-minded and focus too much. Their obsession can become really creative if they find a way to balance it with love and affection. Passions and instincts of Scorpio meet the spiritual and playful nature of Sagittarius. These are the days of the Centaurs, who were believed to be great warriors and teachers. They can motivate and they can manipulate. Their unique powers make them capable of almost any task which others regard it as impossible. Practical yet emotional they can reach their goals providing they keep the balance between what they want and what they actually need. The fact that they can win any war does not mean that every battle has no casualties. This is the time of the Winter Solstice, the day when the Solar king dies only to be reborn, new and shinier. These are the days of the Awakened Ones. The sun gives the people who are born under this influence, with a unique ability of cosmic awareness. These are the prophets of the new age. The Ones who can change everything. Being both practical and visionary, they can see what others cannot and they have the guts to follow their dreams. They never give up no matter how many times they fail. They believe. Strong and bold yet unique and eccentric, knowing that there is only one way – theirs! If you are born under this influence then you clearly know what I am talking about. You can find any solution you want providing you have a motive. Extremely clever and decisive they can push everyone’s limits (including theirs) only to find what makes them work better. For them, there is only one option. Winning. They are stubborn and very faithful to what they believe in. This stubbornness makes them irresistible. Magic meets the mysteries. Aquarius is a sign drenched with arcane wisdom and when this is combined with the empathic abilities of Pisces, Fairies are being born. Even though they seem to belong to another world than ours, they can blend in and attract unimaginable power and wealth. The key is to find a way to express their insecurities in a constructive way. If they manage to do so, nothing can stop them.